Want to network with local business professionals in a casual setting? Curious about what Rotary and Rotaract are? If you said yeah to either of these, come out to the Rotary Mixer on Sunday, February 17! 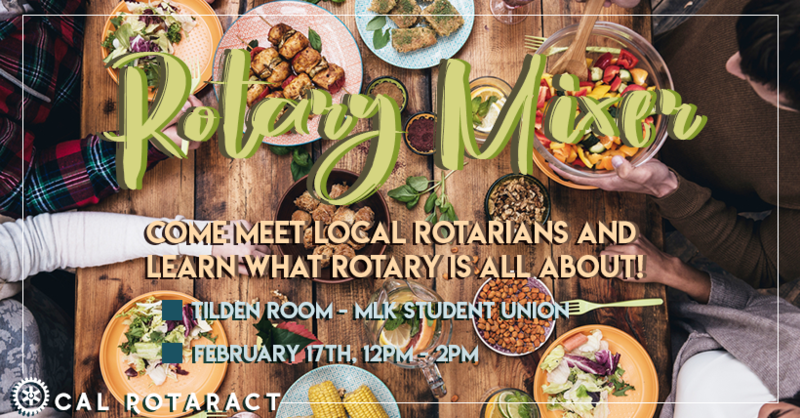 For those who are interested in the Rotary Mentorship Program, this will be a fantastic opportunity to learn more about the program and meet your potential Rotarian mentor! **FREE lunch and refreshments will be provided.